A very attractive carrara marble fire surround that is simply and beautifully carved and would add great style and design to a fireplace. 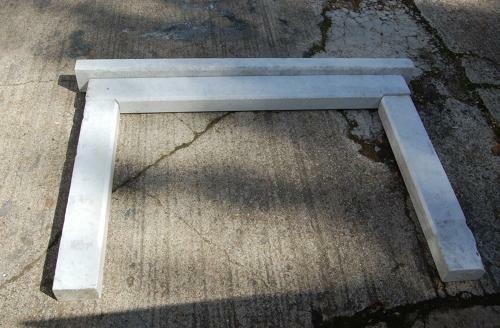 The surround has a lovely colour and the marble has nice veining. The fireplace has no major damage or breaks and is stable. The marble does have some chips and scuffs to the edges and there are some scratches and staining across the face of the surround. The mantel does have some small holes and there is some damage to one edge plus to one corner, where there is a large chip (please see pictures for details). The surround is an attractive piece and would add great style and character to a house.